The capital of Wales is the tenth largest city in the UK. 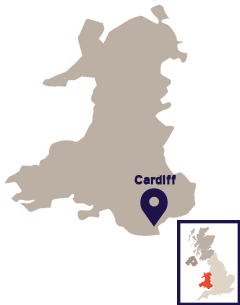 With a lively cultural scene and independent shops and cafes, Cardiff is perhaps best known for its castle, dating back 2000 years, and the world-famous Principality Stadium, which is home to Welsh rugby and football and is also the regular venue for the British Speedway Grand Prix. With wild landscapes and villages steeped in history, Snowdonia National Park is a breathtaking destination for activity holidays, short breaks or days out. It’s best known for hiking, but there’s plenty more to enjoy, from waterfalls, lakes and mountain biking to a vintage steam railway that climbs the highest peak in Wales, and which offers an alternative for those not wishing to scale Wales’ highest mountain. In contrast to the wild natural landscapes, Wales is also home to a wide range of beautiful gardens and country parks which showcase plants from Wales and across the world. The gardens include the National Botanic Garden, which spans almost 600 acres, and Bodnant Garden which has century old cuttings, and a world-class collection for visitors to discover. At a length of 1,400 km, The Wales Coast Path is currently the only coastal path to circumnavigate the coastline of an entire country. With a dedicated website and app, it is easy for visitors to make the most of the Welsh coastline, however much or little they choose to explore. 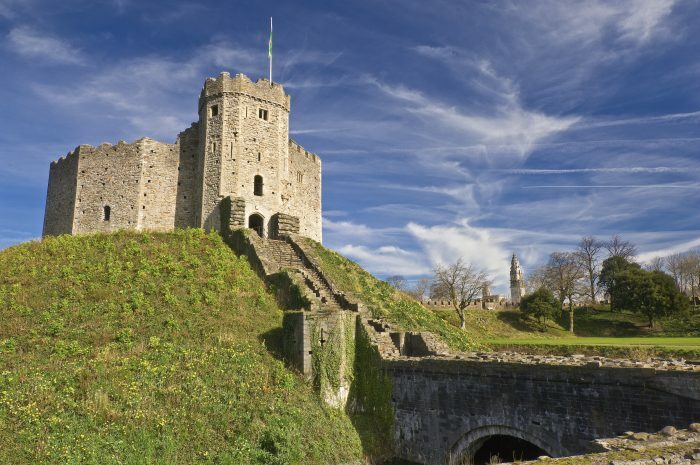 Spanning 2000 years of history, many of Wales’ castles are magnificently preserved, and offer a great day out. Caernarfon Castle in Snowdonia, Caerphilly Castle in the South, and the ruins of Raglan Castle are among Wales’ 600 castles from which visitors are never far away. Zipworld offers 3 locations in Wales for thrill seekers looking to “fly” on the fastest zipwire in the world, take a zipwire underground or explore slate mine caverns which were inaccessible for 200 years. Portmeirion was created by the architect Clough Williams-Ellis from 1925 to 1976. He wanted to show how a naturally beautiful site could be developed without spoiling it. Aside from its iconic architecture, scenic surroundings and vast woodland gardens, Portmeirion is home to hip hotels, historic cottages, a spa and award winning restaurants. During peak season (Late March to Late October), visitors can learn more about this unique village with free walking and train tours. Set among glorious scenery, Surf Snowdonia is an award-winning adventure park home to the world’s first inland surfing pool, a fantastic obstacle course, and much more – offering a fantastic day of adventure for all ages. Formerly known as the Millennium Stadium, the Principality Stadium is the home of Welsh Rugby and also hosted the 2017 Champions League final. Take a look behind the scenes of this 74,000 seater stadium and see where the Welsh Rugby Team battle against opponents from across the globe. Wales is the birthplace of coasteering – a blend of rock-hopping, shore-scrambling, swell-riding and cliff-jumping, which forms the ultimate water adventure. The activity continues to grow in popularity, and there are now seven coasteering regions in Wales for visitors to choose from. This festival takes place in the gorgeous Brecon Beacons, and provides a live soundtrack to four days and nights of festival magic. The annual festival returns to celebrate the exquisite produce of some 200 food exhibitors as well as featuring master-classes from top-flight chefs, tutored tastings and food talks with food writers and critics.